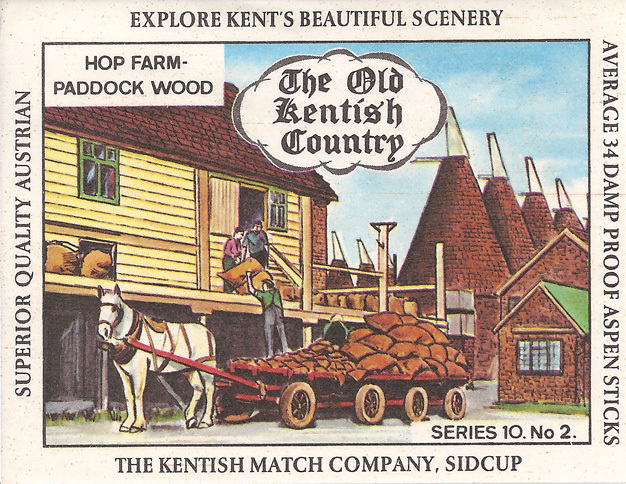 Hop Farm at Paddock Wood, Kent is over 450 years old. 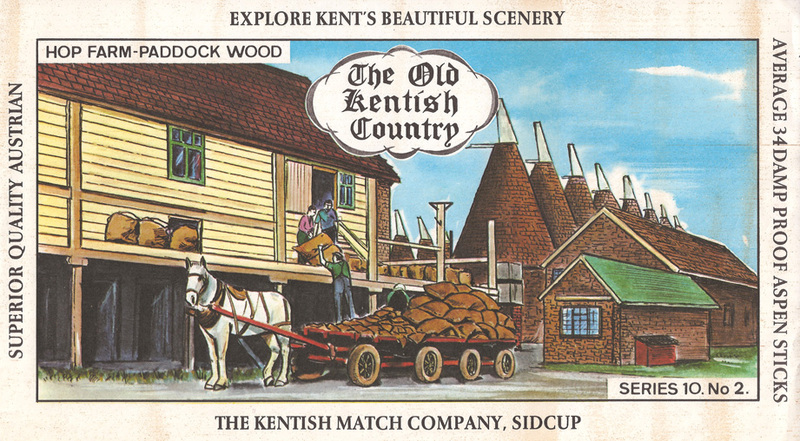 It began as a working hop farm and has one of the world's largest collections of Victorian Oast houses. It is now a family entertainment park, where visitors can learn about the history and art of hop picking. 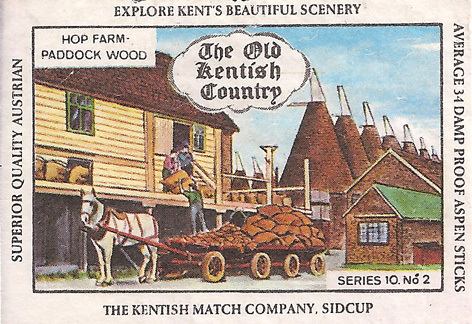 The illustration appeared on 3 known labels.